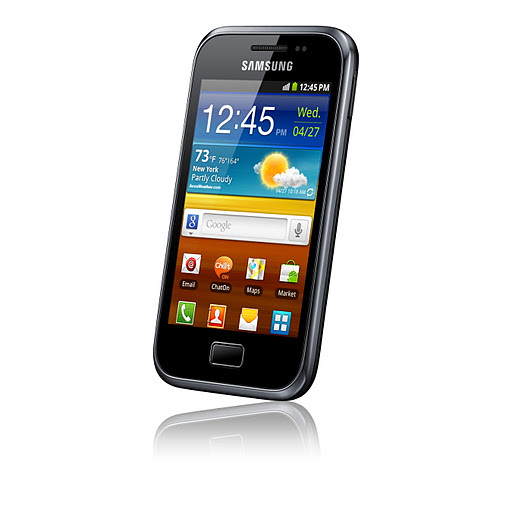 The mid-range Android phone Samsung Galaxy Ace Plus S7500 get root access. Samsung Galaxy Ace Plus comes with 1GHz CPU with 512 MB RAM. It has 5 Megapixel Auto focus camera with LED Flash and powered by Android Gingerbread v2.3. Stock ROM on Galaxy Ace Plus S7500 has some limitations which don’t allow you to perform many tasks on your phone like remove junk apps, improved the performance, overclock the processor etc. You need root access to perform these task. This tutorial help you to Root & UnRoot Samsung Galaxy Ace Plus S7500. Enable USB Debugging by going to “Settings” > “Application” > ‘”Development” and tick USB Debugging option. Hey buddy, tell me why doesn’t show the “root.zip” in recovery mode, please. Sir. . . i just followed all of the steps.. but it say error..
i want to unroot my phone but i got error “signature verification failed” now wht should i do..?? plzz help me its urgent…. ciao sono italiano il file nella recoveri mi dice di installare un pack 2 e non funziona!!! You need to hold volume buttons plus the home button and touch the power button until it powers on. Unfortunately it will not root with stock recovery. You need to wait to someone to make a kernel for you to flash with Odin 1.85.
i’ll try that..but is the root really working in ace plus >? it doesnt goes into recovery mode by pressing and holding home+power button….wat to do ? Please reinsert your battery and try again.